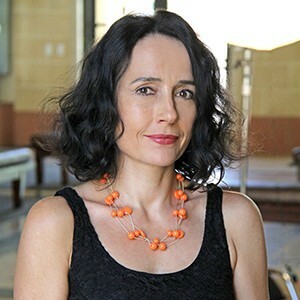 Anikó Imre is a Professor of Cinematic Arts in the Division of Cinema and Media Studies and a member of the faculty advisory board in the Interdivisional Media Arts and Practice (iMAP) Division. She has published, taught and lectured widely on media globalization, television, (post)socialism, gender and sexuality, race and postcoloniality. She is the author of TV Socialism (Duke UP, 2016) and Identity Games: Globalization and the Transformation of Post-Communist Media Cultures (MIT Press, 2009), editor of East European Cinemas (AFI Film Readers, Routledge, 2005) and The Blackwell Companion to East European Cinemas (2012), and co-editor of Transnational Feminism in Film and Media (Palgrave, 2007), Popular Television in the New Europe (Routledge, 2012); of special issues of The Journal of Popular Film and Television on Television Entertainment in the New Europe (2012), the European Journal of Cultural Studies on Media Globalization and Post-Socialist Identities (May 2009), and of Feminist Media Studies, on Transcultural Feminist Mediations (December 2009). She co-edits the Palgrave book series Global Cinemas and sits on the boards of Cinema and Media Journal, Global Media and Communication, Television and New Media, VIEW Journal of European Television History and Culture, NECSUS_European Journal of Media Studies, global-e: Twenty-First Century Global Dynamics and other key publications. HBO’s E-EUtopia.” Media Industries 5.2 (2018), special section on “Global Internet Television.” https://quod.lib.umich.edu/m/mij/15031809.0005.204?view=text;rgn=main. “Gender, Socialism and European Film Cultures.” The Routledge Companion to Cinema and Gender. Eds. Kristin Lene Hole, Dijana Jelaca, E. Ann Kaplan, Patrice Petro. New York: Routledge, 2018. “Love to Hate: National Celebrity and Racial Intimacy on Reality TV in the New Europe.” Television and New Media, 16.2 (2015): 103-130.